Should I Center Paint Stripes on the Walls? 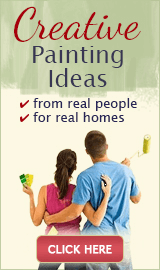 Should vertical paint stripes be centered on the walls, or should I just let them fall wherever they may? 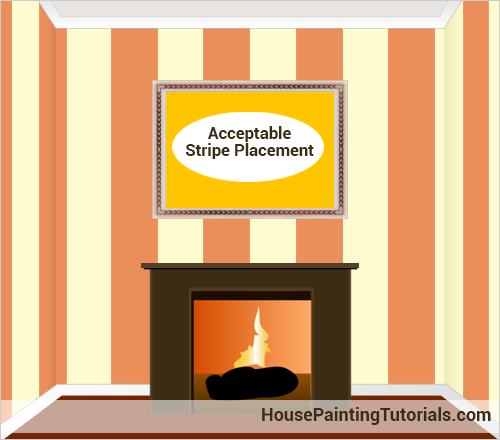 What's the right way to position a stripe pattern? 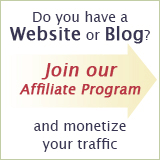 I can't seem to find the answer anywhere. 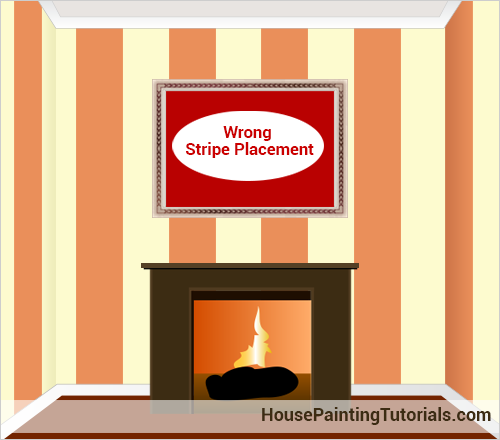 when the focal wall or the first wall you see is very symmetrical (for instance, it has a fireplace or a large painting in the middle, equally spaced windows or furniture pieces, etc) - randomly placed stripes on such walls will often look like a mistake. when the stripes (or the pattern repeat) are wide - they may look awkward if your furniture is centered in the middle of the wall, or lopsided in the corners. Note that the wider the stripe size and the higher the contrast in the color combination, the more pronounced any imbalance will seem. So if the two examples above describe your situation, you'll want to start your stripes in the middle of the most important wall in the room. 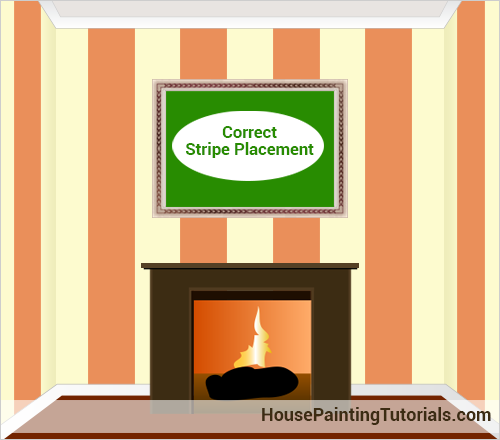 1) decide which stripe in the repeat will be centered (placing the widest or the most contrasting stripe in the middle will create a stronger symmetrical effect). 2) find and mark the horizontal center of the main wall. 3) measure and mark half the stripe's width on each side of the wall center line. Then continue as usual, laying out full stripe widths away from these starting marks. 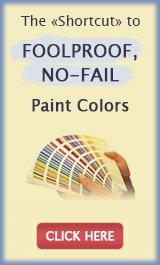 TIP: when continuing a stripe around a corner, check that the first line you snap or tape off is still plumb, and adjust if necessary. 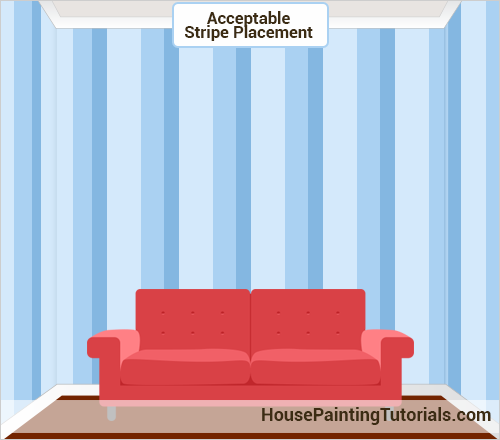 Click here to ask your own question about painting stripes. Ours are wide and off-center and it looks terrible, like a mistake. I really notice it every time I'm in the room. Return to Stripe Painting Q&As.